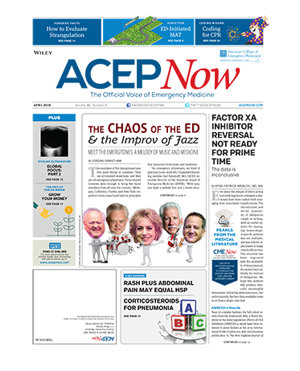 New emergency physicians may be filled with clinical knowledge—but their understanding of the business side of what they do can be dicey. That’s where the session “Don’t Get Fired, Don’t Go Broke, and Don’t Get Sued” comes in. Presenters Michael A. Granovsky, MD, CPC, FACEP, Mark Curato, DO, and Nathaniel S. Minnick, DO, will be part of an interactive panel discussion to address how to adapt quickly to a new practice environment, how to manage medical debt, and how to minimize the chances of a lawsuit. For his part, Dr. Granovsky, of Logix Health in Bedford, Massachusetts, will cover key financial moves to help shore up your financial future. This will include pitfalls to avoid that could upset your financial trajectory, the management of student and mortgage debt, and making the right insurance choices as they relate to life and disability insurance. “Emergency physicians have a bright financial future and the ability to retire with millions of dollars—if you make the right decisions,” Dr. Granovsky said. Vanessa Caceres is a freelance medical writer based in Florida.